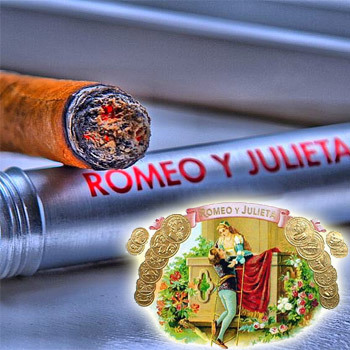 Romeo y Julieta is arguably one of the Top 3 Most Recognizable cigar brands worldwide, period. Highly demanded, Romeo y Julieta cigars are satisfying but not overwhelming… medium-bodied but pleasant tasting, which is quite the contrast. 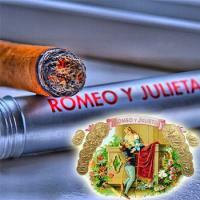 A favorite of Sir Winston Churchill, Romeo y Julieta cigars will be a future favorite of yours if it already isn't. If you need a suggestion, go with the Romeo y Julieta Reserva Real, it comes highly rated by Cigar Aficionado Magazine and recommended by many aspiring cigar aficionados. Another recommendation: Romeo y Julieta Churchill.